The Scottish Government has announced a further investment into participatory budgeting over the next year. The £2 million Community Choices Fund builds on the £500,000 which has already been invested in PB projects across 20 local authority areas. Over the next financial year the funds, which will be prioritised across more deprived areas, will enable further involvement from community organisations and other public bodies. The funding will build on the 50 projects which were run as part of the initial pilot, enabling local communities to directly prioritise where they think funds should be spent. Details of the application process will be announced soon. By creating this new Community Choices Fund and increasing our investment to £2 million we are putting our money where our mouth is on community empowerment. “Every community in Scotland has different needs and challenges. We want to see more decision-making handed to local people – especially in choosing local spending priorities. The roll out of our pilot project will massively expand opportunities for councils, communities and public bodies to get people involved. “Communities that suffer disadvantage do so in part because they are marginalised. Giving people a chance to participate means better decisions but also shows people what they can do. To truly tackle inequalities we need to empower the disempowered. “Cardenden Community Development Forum was an early trailblazer of this approach." “This is great news for local communities, and I hope it brings them the sort of benefits we have enjoyed. “We have gone from strength to strength since The Coalfields Regeneration Trust helped us draw up our community action plan, and introduced us to participatory budgeting through their Coalfields Community Futures Programme. 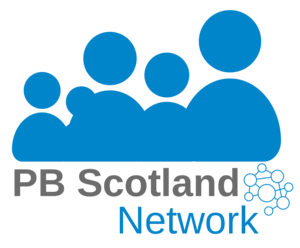 PB Scotland attended the visit to Cardenden and will be producing a write up of the work being carried out there, to be published soon.